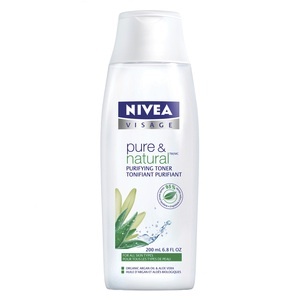 Nivea Pure Natural Coupon is a printable coupon. You can find this coupon on Websaver’s website in the Nivea portal. It’s a hidden coupon and you can find it here. Print the coupon at home and bring it into the store. Make sure the retailer accepts printed coupons. I’ve printed a couple coupons and brought it into Loblaws and Walmart and they accepted them. 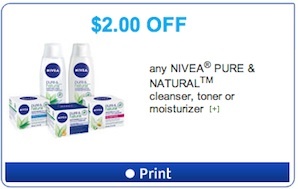 This Nivea pure natural coupon is to save $2 on any Nivea Pure & Natural Cleanser, Toner or Moisturizer. Nivea Pure Natural Toner is made with 95% naturally sourced ingredients, this toner effectively removes daily impurities and revitalizes skin while enhancing the natural glow of your skin’s complexion.